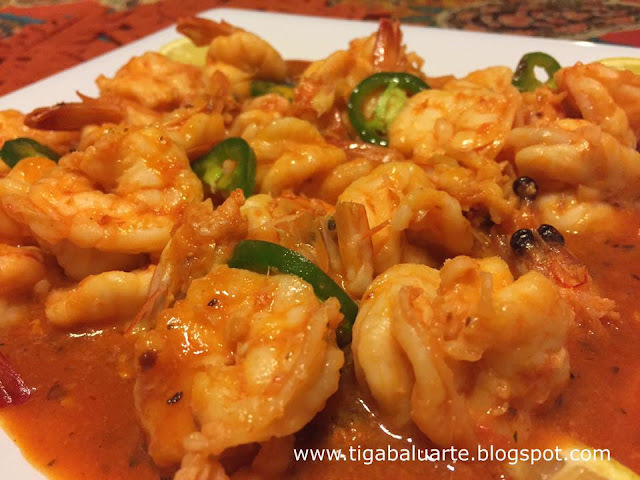 If you like shrimp and like garlic, this easy and delicious recipe with chili sauce and ketchup is a must try. Check out the simple recipe below and give it a try. Let me know how you like it. 1. Saute garlic and ginger in olive oil till caramelized. Add shrimp and do a quick stir. 2. Pour in pineapple juice or sprite (Try pineapple juice, it gives different but a tasty taste to this dish) and bring to a quick boil in high heat. 3. Season with salt, ground pepper and pepper flakes. Mix well. 4. Add chili sauce and ketchup. Mix well and cook for 2 minutes. 5. 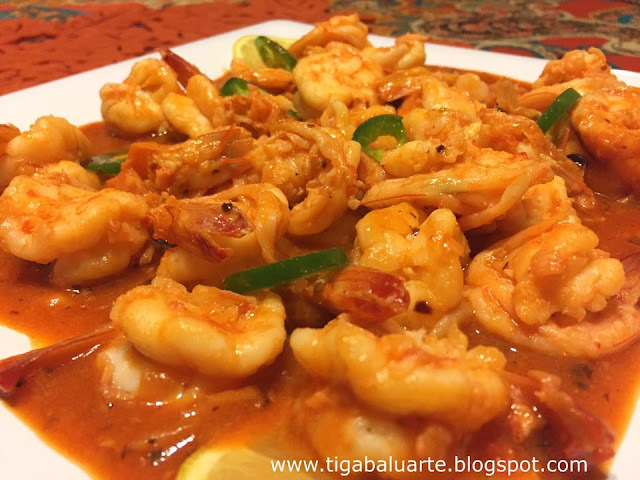 Remove shrimp from the sauce and place in a serving dish. 6. Continue to simmer the sauce in low heat till sauce thickens. 7. Add slices of jalapeno to the sauce, stir and remove from heat. 8. Pour sauce over shrimp and serve hot. Enjoy!